As a child, Martha dreamed of traveling the world to salve the wounds of suffering people. Over the years, that dream took shape, starting as an undergraduate at Wheaton College when Martha travelled to Cameroon. Driven by her faith and commitment to service, Martha has spent the past 30 years helping people who are pushed to the margins. At just 33, Martha served as a country manager in Mozambique in the aftermath of the country’s bloody civil war. She’s spent more than two decades in leadership positions for international nongovernmental organizations, implementing high-impact programs that have served hundreds of thousands of people. Martha is a sought-after speaker, appearing before the United Nations and various global health initiatives. She has an MPH from Johns Hopkins Bloomberg School of Public Health. When Hurricane Mitch barreled through Central America in 1998, Joe mobilized a team of medical professionals to help suffering families recover. This was his first assignment – responding to the second-deadliest hurricane in recorded history. Over the course of his 20 years at Medical Teams International, Joe’s led dozens of disaster responses. Seeing the suffering on a mother’s face is what drives him to help Medical Teams International implement programs that provide for the whole person. He currently serves as Medical Teams’ Global Ambassador, where he builds faith partnerships both domestically and internationally. Service runs in his family. Joe’s sons Danny and Brian have served as volunteers on multiple international assignments. With a varied and wide-reaching background, Jon came to Medical Teams International in 2014 looking to make a difference in the lives of the less fortunate. Giving up a corporate job at Microsoft, where he served in several strategic leadership roles over his 17-year career, Jon joined Medical Teams during the Ebola crisis in time to implement fundraising and communications efforts. A former diplomat stationed in the Dominican Republic, Ireland, and Russia, Jon has an affinity for building meaningful relationships and partnerships that maximize impact. He is a firm believer that all people have value and is deeply committed to telling their stories. 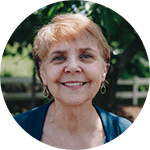 More than a spreadsheet maven with an encyclopedic knowledge of financial management, Pam is devoted to empowering those who are hurting. When she was 12, her dream was to perform missionary work in Africa. After working for years as a tax accountant, she finally had an opportunity to lend her expertise to people in crisis. She joined Medical Teams International in 1999 as a staff accountant and became the Chief Financial Officer a year later. In 2012, she was recognized as Portland Business Journal’s Not-for-Profit CFO of the Year. When she’s not crunching numbers, Pam enjoys hiking, traveling, and spending time with her grandkids. With nearly 20 years of experience leading humanitarian relief operations, Roger has aided suffering families and hurting communities around the globe. He has long believed in striking a balance between responding to urgent crises and empowering people to reclaim their futures. He joined Medical Teams International in 2014 as the Director of Disaster Relief, before becoming Vice President of International Field Operations in 2017. Between stints managing relief efforts in Haiti, South Sudan, and the Democratic Republic of Congo, he has served as an adjunct professor at his alma mater, Wheaton College. When he’s not working, Roger can be found riding his motorcycle in Oregon’s wine country or spending time with his wife and kids. Cindy began her career as a nurse entrepreneur, owning a small nursing education business and working in clinical research for a medical device software start-up. She has years of experience working with non-profits, building high functioning teams, fundraising, developing strategies and supporting processes and systems. Cindy joined Medical Teams in 2015 as Director of Advancement, leading the Philanthropy Team supporting both US and Global Programs. Cindy brings this rare combination of health care, management and fundraising to help lead our US-based Mobile Clinic Program into the future. Having lived in Africa and having worked for several international organizations in relief and development, Cindy has developed a deep passion for serving vulnerable populations. In her new role, Cindy brings all this experience to the U.S. Programs in addressing dental and other health care needs of people in our own communities.